An all-around great restaurant POS with robust features and strong support. Founded in Toronto in 2010, TouchBistro has rapidly expanded beyond the city to take over the entire restaurant POS industry, and for good reason: The interface is clean but versatile, it offers a broad range of features, it’s priced well, and it comes with a round-the-clock support team. The iPad app makes providing service to customers quick and easy, and it comes with features designed for tableside ordering. In short, TouchBistro offers all the features and benefits a restaurant POS needs. TouchBistro’s cloud-based POS app was designed from the ground up for the restaurant industry: If your small business isn’t in the food industry, this review isn’t for you. If it is, TouchBistro should be among your top choices. It’s certainly popular in the industry: Over 12,000 venues run TouchBistro worldwide and over $6 billion in payments have been processed through the software. TouchBistro’s more than 200 features range from basic options common in other restaurant POS services (reporting and analytics, sales and inventory, table management, staff management) to more rare and valuable features (tableside ordering, strong customization, loyalty programs). 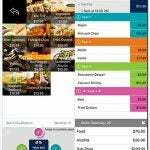 While this review focuses on TouchBistro’s full-service restaurant POS app, the vendor offers four more POS apps aimed at more specific niches within the food industry: The Quick Service, Bars and Clubs, Food Truck, and Brewery POS apps all offer their own venue-specific features and benefits. While many POS services offer limited or no tableside options, TouchBistro makes it simple for a server to place an order directly to the kitchen while still standing in front of the table they’re serving. Servers can select the quantity and type of menu item, sorting by both seats and courses in order to get everything right. Automatic prompts can remind servers what potential upsells could be suggested with each item. Then, when the meal’s over, servers can separate or join seats with a simple swipe or tap in order to split the bill with minimal effort. Managers can create, edit and upload customized menus to their POS app, adding and subtracting menu items as needed. Low inventory alerts can help managers know which items to remove before a customer orders something that isn’t available. 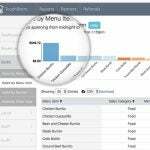 In addition, data reports help managers know which menus and items sell the best, allowing them to create even better menus in the future. Customer relationship management (CRM) features allows servers to reward repeat vistors. Once an account is set up for a regular customer, favorite items can be suggested to servers whose memories might not supply “the usual” quite as quickly as TouchBistro’s software can. These customers’ favorite orders can also help guide managers as they build new menus or consider special promotions. 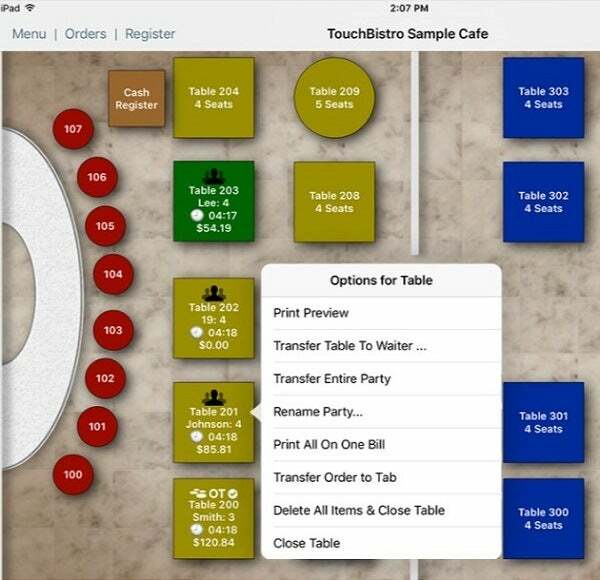 TouchBistro also offers table management options, a staple feature of restaurant POS services. A customizable floor plan allows you to layout your entire operation, down to the table size. Servers can then move parties around as needed. The result? Portable maps that update in real time, putting everyone on the same page and speeding up service. With TouchBistro POS, staff can clock in and out, and managers can easily track their hours. Accounts for individual employees allow managers to keep staff-specific details in mind, and in-app messaging allows staff members to contact each other throughout a shift. Seamless staff management pays off. 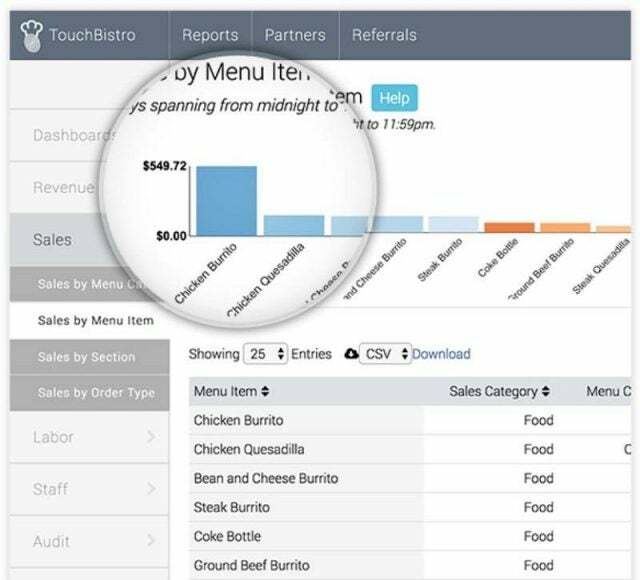 As recently as August 2018, restaurateurs have reported up to four percent cuts in their total labor costs as a result of their TouchBistro app. Mobile payment processors supported on TouchBistro’s system include Square, iZettle, Chase Paymentech, Moneris, Worldpay and PayPal. Servers will be able to take cash, card and debit. Another core POS feature, inventory management tracks both menu items sold and the ingredients that go into each one. Alerts let managers and staff know when an item needs to be restocked. In addition, profit margins for each item can be tracked, letting managers know which items offer the worst return on investment. Daily reports can be auto-delivered to senior staff members. Managers can use the data collected from every other feature in order to determine future plans: Which tables are most popular, which menu items should be promoted, and which servers work the fastest at which times. Since inventory and sales are tracked to the last detail, theft can be noted and deterred. TouchBistro runs on all iPads after the first four generations. You should also use a wireless router, which allows the TouchBistro POS to run on a secured local network. If you’re a small operation, one iPad and a router should be all the hardware you need. If you’re using multiple iPads, you’ll need a central hub to serve as the “brain” of your POS software. If you use five or fewer iPads, an Apple Mac Mini Computer is best. If you use six or more iPads, try a iMac Computer, and if you have fifteen or more, TouchBistro recommends a Mac Pro. TouchBistro’s hardware product line isn’t as extensive as that of many other POS vendors. However, one hardware item stands out: A kiosk that lets customers tap product buttons to compose and pay for their unique order. If you manage a quick service or a fast casual restaurant, a self-serve kiosk might be the hardware investment you need to fill orders faster and save money in the process. Watch this video for a demonstration. TouchBistro’s online help portal offers as much customer support as you can expect to get through a computer screen, including setup guides, training videos, and user guides for staff, managers, and administrators. Users in any of the four service plans will have access to 24/7 phone & email app support. All restaurant data is backed up on the cloud daily, so if the app crashes, you won’t lose your sales and inventory history. Hardware installation and troubleshooting is available for an additional fee. A 28-day free trial of the POS is available to anyone who signs up for an account on the website. 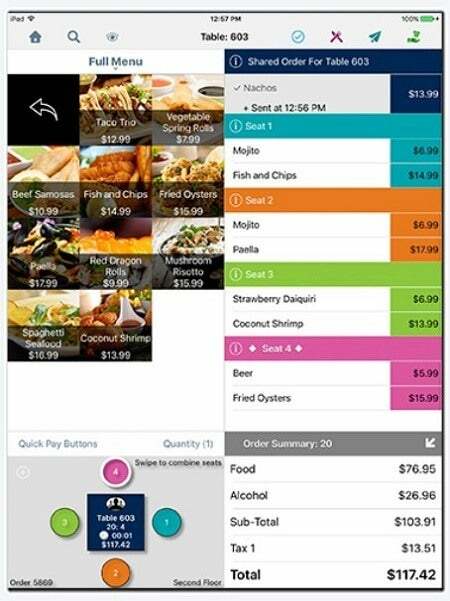 One quirk sets TouchBistro apart from other POS vendors. While many POS service plans are priced at a per user per month rate, TouchBistro’s four service plan tiers each offer a cap on the monthly users instead. The Solo plan costs $69/month, for one license; the Dual plan costs $129/month for two licenses; the Team plan costs $249/month for up to five licenses; and the Unlimited plan costs $399/month for as many users as the business needs. In other words, the number of POS users a restaurant needs can affect the cost per user. A business with three users will pay $249 a month for example — the same price as a business with five users. Meanwhile, any business using the aptly named Unlimited plan will pay increasingly less per user for each user they add. TouchBistro’s prices are competitive even at their highest, but the size of your business will determine just how great the deal is. 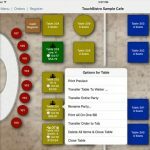 TouchBistro’s many features cover all the basics of restaurant operations as well as a few bells and whistles, and they’re highly configurable to boot. Both pricing and support meet or exceed industry standards. TouchBistro is a solid choice for most restaurant businesses, and a particularly great option for a restaurant with iPad-powered tableside service. To get started with tailored price quotes today, click the button below.